Help us honour David Allan Bremner's service by contributing information, stories, and images so that they can be preserved for future generations. 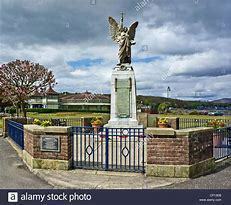 He is one of 12 Casualties who served with Australian forces in the Great War who are remembered on the Rothesay War Memorial. The Royal Burgh of Rothesay (Scottish Gaelic: Baile Bhòid) is the principal town on the Isle of Bute, in the council area of Argyll and Bute, Scotland. Rothesay lies along the coast of the Firth of Clyde. Located on the Esplanade near the Pier, it is known locally as "The Angel".